A study of salaries paid by major corporations, and commitments to disclose those salaries, finds Facebook and Walmart among the laggards when it comes to policies aimed at eliminating the gender pay gap. Apple, Nike, and Starbucks are among the best. The report by Arjuna Capital and Proxy Impact ranked 33 of the world's largest firms in the financial, technology, and retail sectors, examining gender pay disclosures, performance, and commitments. Apple, Nike, and Starbucks, along with Wells Fargo and JP Morgan, earned an A-, which was the highest grade. On the other end of the scale, Facebook, Goldman Sachs, and Walmart were among 11 companies -- one-third of the total -- that received an F.
The report was based on disclosures and goals to help investors determine the best practices on pay equity. The study ranked companies on quantitative pay disclosures, commitments to report every year, coverage, and goals. Natasha Lamb, managing partner at Arjuna Capital, says the GPS report shows some of the biggest and best known companies in the world are still behind the curve on equal pay. "It's not enough to pay lip service to pay equity, to simply say that women are paid fairly. Investors expect meaningful disclosures and goals to close the gender pay gap," she said. "There has never been a better time to move this issue forward in corporate America." Proxy Impact's CEO Michael Passoff says the issue is just as important to the company and its investors as it is to the people who work there. He said achieving equal pay in the workplace is not only fair to workers, but it makes the company stronger and more competitive. "Strong commitments from name brands like Apple, Bank of America, Nike, and Citi overshadow peer companies in banking, retail, and technology that haven't done nearly as much," Passoff said. "The scorecard provides a transparent accounting of where companies stand, outside of flashy diversity reports and platitudes." 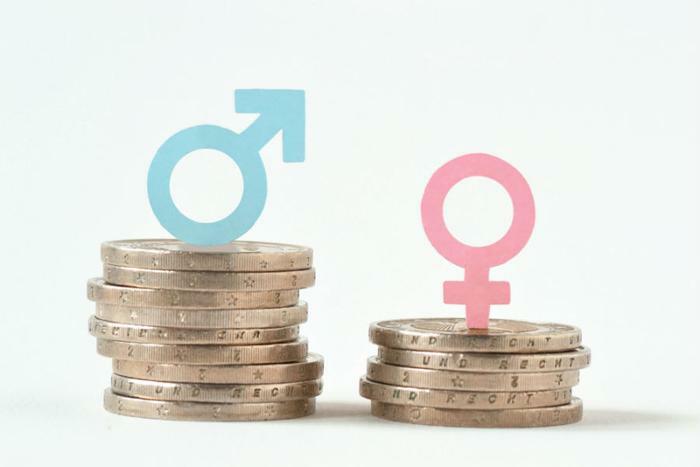 The report shows the financial services sector is nearly equally divided among companies that scored well on the gender pay scale and those that did poorly. JP Morgan, Bank of New York Mellon, and Wells Fargo earned top scores. Goldman Sachs, Progressive Insurance, Discover Financial Services, KeyCorp, and Metlife brought up the rear.